Scholarships were proudly awarded to twenty-four college students. B. Schwab (Boston College), N. Thompson (PACE), J. Thompson (Western CT State). 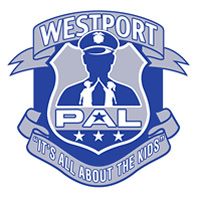 Westport Police Athletic League (PAL) awarded Luciano college scholarships to 13 Staples High School seniors. 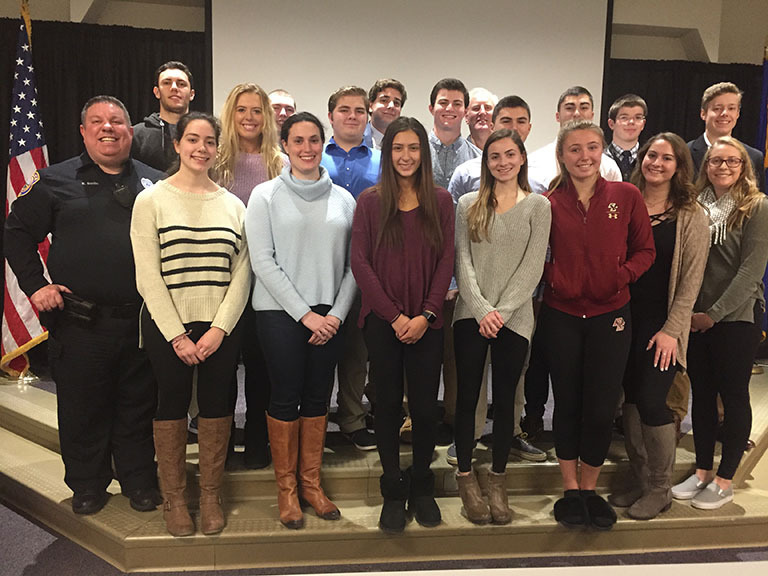 Pictured (front row, l-r) Meghan Johnson (Deleware), Alexa Moro (Villanova), Sarah Maybruck (Sacred Heart), Whitney O'Reardon (Wheaton College), Brooke Schwab (Boston College), Maureen Schwab (PAL Scholarship Committee; (second row) Dominic Arciola (Univ of Alabama), Dylan Marone (Norwich Univ), Ben Pearl (Michigan),; (back row) Howie Friedman, chairman, PAL Scholarship Committee, Ben Vanderwere (Maryland), Jonathon Maisonet (Univ. of New Haven), Christopher Martenson (Worcester Polytech), Michael Simons (Middlebury College). Visit with your high school Counselor to obtain a Luciano Scholarship Application and assistance. Please contact our Scholarship Committee Chairman Howard Friedman at if you need further assistance. Your donations help us help the youth of Westport. Thank you for being a PAL.